SALTO Systems, the company specialized in access control innovative solutions and market leader in electronic locks based in Oiartzun (Guipúzcoa), has completed the acquisition of the Dutch company Clay B.V and has invested in the Danish firm Poly-Control / Danalock. These operations are carried out in line with its strategy strengthening its leading position in both Cloud technology and Mobile Access, as well as Electronic Locks for the residential market. This new growth and the good business prospects have led the company to expand its facilities in the industrial park of Lanbaren, Arkotz kalea, in Oiartzun (Guipúzcoa). 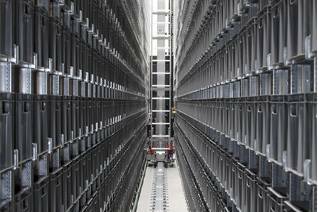 AR Racking, the company specialized in designing, manufacturing, calculating and installing industrial storage systems, has designed, planned and installed a system tailored to the specific needs and volume of SALTO Systems activity. 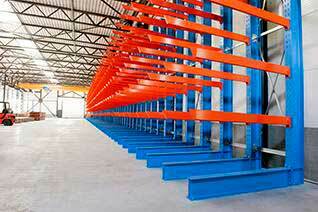 AR Racking has installed a Clad Rack building with single deep stacker crane. The clad rack building -where the storage system is part of the structure of the building- takes full advantage of the storage capacity and are suitable for high-rise storage, as it is the case for the SALTO warehouse where the installed height reaches 26,150mm, which makes it very visible from the A8 highway. This installation is designed to make the most of the storage space, converting it into a large automatic warehouse, and has resulted in a storage capacity of 3,636 pallets in a 44,770mm long x 13,900mm wide space. This installation has been designed to take full advantage of the storage space, and has given to this large automatized warehouse a capacity of 3,636 pallets in a 44,770 meters long x 13,900 meters wide space. According to Santiago Estevas, Chief Operation Officer of SALTO Systems, "The construction of a large-capacity automated warehouse will allow us to increase, even double, our current production and to continue our policy of continuous innovation". For José Giraldo, in charge of this project for AR Racking "The solution installed in SALTO Systems allows a big storage height, which means the maximum use of space providing great speed and reliability when handling loads." 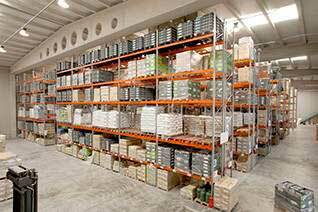 AR Racking provides comprehensive assistance in industrial storage, giving advise and planning the installations, leading times, products and structure.